T was exclusively breastfed for the first six months, so I was understandably wary of how the transition to solids would be. I was sure of one thing though that as far as possible I wanted to avoid giving him processed food. I prepared a small batch of roasted and ground white and brown rice. I boiled a teaspoon of this powder in 30 mls of water to a medium consistency and BAM! Homemade cereal was ready! I mixed it up with breast milk and T’s first meal was good to go! 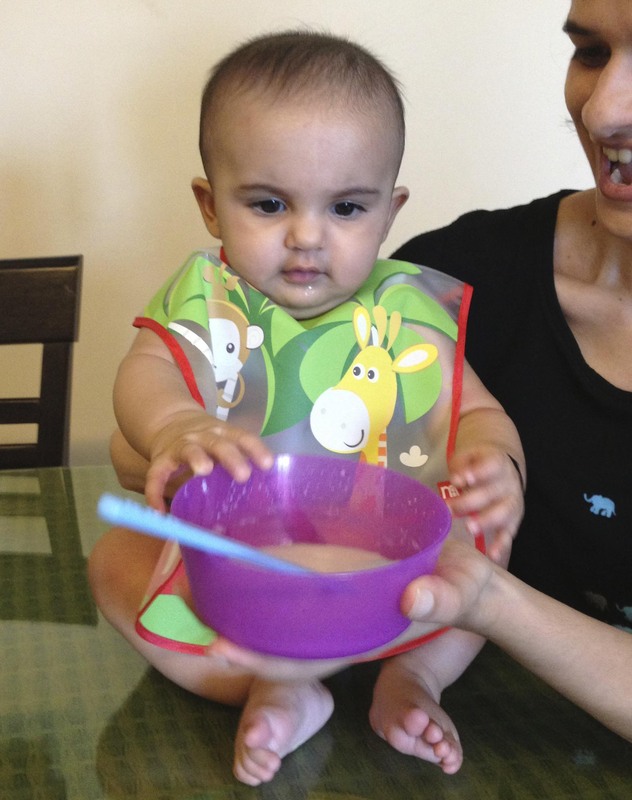 For the first week, extremely diluted white rice cereal worked better as opposed to the fibre rich brown rice cereal, which caused colic. Once T’s digestive system got stronger I thickened the cereal consistency and switched to brown rice. The fibre-rich and more nutritious brown rice seemed to clear out his bowels rather well too. Such a thoughtful thing to do nameeta!